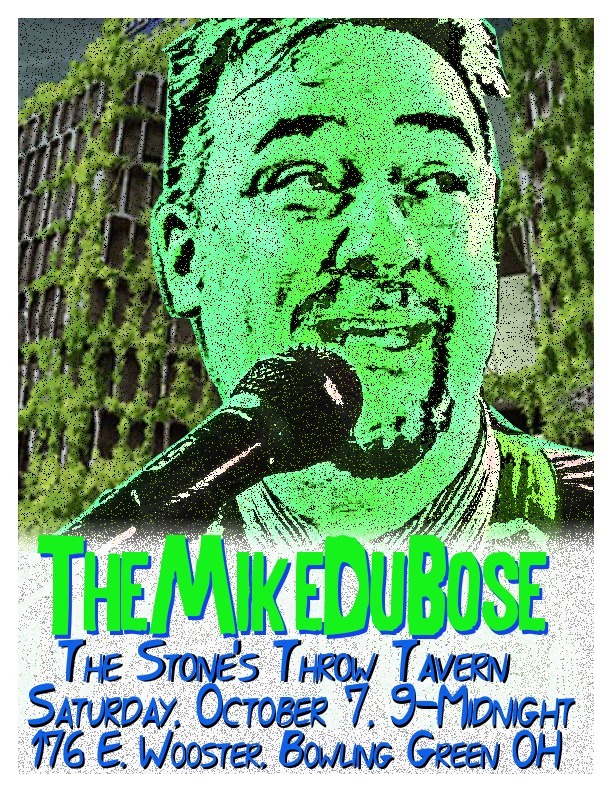 I've got two upcoming shows and news on the next album in the latest TheMikeDuBose news letter. Sign up via the link on the right! It's officially the holiday season. Well, if you believe your local big box store, that probably started immediately after Halloween. But we won't think of them, because it's almost December...so it's safe to display and decorate your holiday shrubbery. This means, though, that it's finally allowable to play holiday music again. So, for all you holiday grinches and humbugs--or for everyone who has one in their life--may I present to you TheMikeDuBose's own festive song, "I Don't Wanna Be Depressed (This X-mas)!" 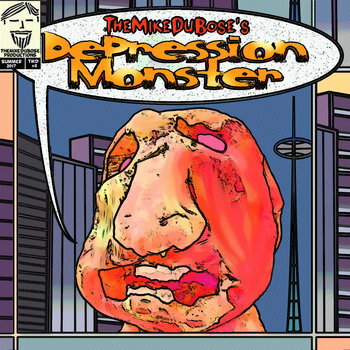 The mp3 is available at the TheMikeDuBose Bandcamp page, backed with the song "X-mas in the Drunk Tank). They make great digital stocking stuffers! Oh, so does my new album Depression Monster, which you can also buy on Bandcamp. As I was driving to work today, I noticed a familiar sticker on the car in front of me. When we hit a stoplight, I was able to confirm that the vehicle in fact did have a sticker from my old band Analog Revolution. This blew me a way a little bit, as we were never all that popular on the scene. No massive following for us, in spite of original songs of which I'm still proud. So seeing the sticker did in fact make me feel kind of proud...for a minute or so. Then I recognized another sticker on the car, and then I figured out that the car was in fact my old Buick, and whomever bought it just never bothered to peel off the old stickers. So my initial emotional high ended up turning into yet another example of "ah, that's life." It did, however, make me wish more people saw that band. I do what I do because I have to, mostly for the sake of my own mental health. But doing music is still communication, and I do want people to hear my work. Sharing your efforts is an inevitable part of the process, and I am exceedingly proud of my music. I just want enough people to come see me so no one gives me the old Gong Show hook. I also want people to come see the newest version of my band. I'm thrilled to have musicians play with me who like my stuff, and it's wonderful to be able to present the songs in a fuller set-up. 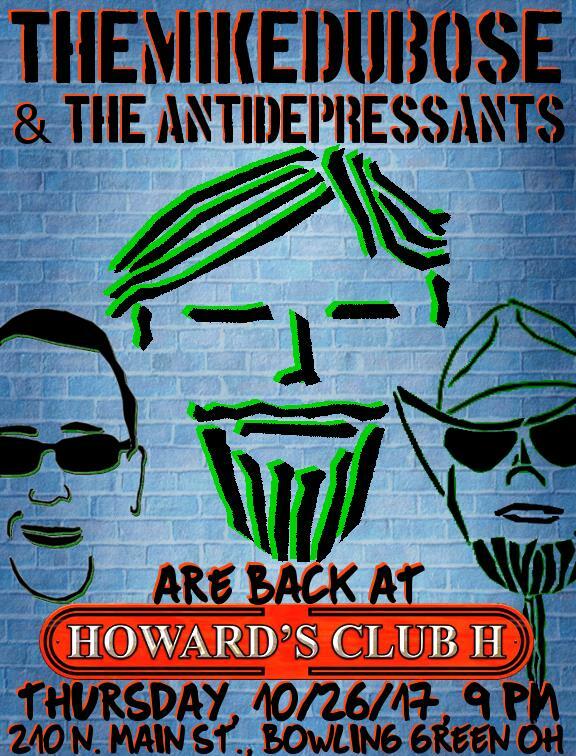 I am (coincidentally) playing tonight at Howard's Club H at 9pm. It will be the first time I've played there since January, and the first time I'm with my band since 2015. If you're in the area, please come. I will even have you home at a reasonable hour! Using methods beyond my own comprehension, I have assembled yet another backing band (The Antidepressants version 4.0, I think). I can now bring a full band rock show to my second album's songs. This makes me mighty happy. We played as a four piece on Black Swamp Arts Festival weekend. We did a three piece performance at a party adjacent to the Luckey Fall Festival. And this weekend, we get to do it again! 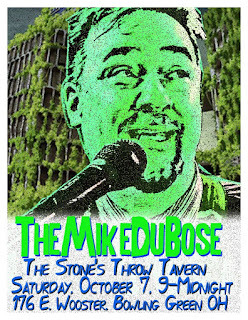 This Saturday, I'm playing at Stone's Throw (my home away from home). I will be splitting sets with the immensely talented April Freed. I go on for an acoustic set from 9:45 to 10:30. 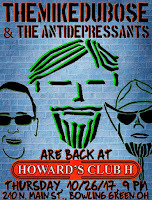 After April's second set, TheMikeDuBose and the Antidepressants bring the rock from 11:15-midnight. It will be a blast and a half, and I'd really love to see you there. Tonight, though, I'm doing a warm-up at The Hump Day Revue, where I'll get about four or five songs on acoustic. Also, my horn player Nick Zoidberg will be joining me. I will have copies of both albums for sale, and I'd also love to see you tonight. In the meantime, isn't this weekend's flyer very green? 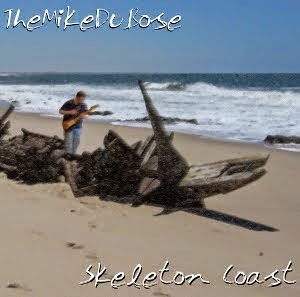 It's been entirely too long since I released my debut album Skeleton Coast. I really wanted to get a follow-up out fairly quickly. Life, though, has a way of intervening whenever possible. There was production issues. There was a year-long detour into a cover band in an attempt to actually make money playing music (spoiler: it didn't work). There were work crises. Some times, it seemed like everything possible which could delay my work did delay my work. No worries, though. Depression Monster is on track. Recording is done. Mixing is done. Mastering is done. Test copy has been ordered, delivered, reviewed, and approved. The final order has been shipped. Files are on Bandcamp. It's really hard for me to get perspective on my work anyway, and when I've been working on an album this long, it's nigh impossible. Nevertheless, it sounds very, very good to my ears. I've given it to a few people I really trust, and they tell me it's as close to "official major label release" in sound as one can get. Nick Zoidberg, my compatriot, is relatively gaga over the album. All these are good signs. There will be much more coming about the album in the next few weeks. Today's news, though, is that the scheduled Saturday album release show has been cancelled due to accidental double booking. No worries, though, as I'll now be playing at Stone's Throw (my home base) the next three months: on September 9 (Black Swamp Arts Festival weekend! ), October 7, and November 11. I'll also be hitting many other area establishments, so there will be many opportunities to see me and snag a disk. Can't get to a show yet still want the physical artifact? E-mail me at themikedubose@yahoo.com and I will work something out. If you're the kind of person who does their music digitally, the album is available for pre-order on my Bandcamp page. If you order now, you get an immediate download of the opening track "Mileage." The full album goes live this Saturday, August 26. Big things are happening. Stay tuned. I have a hard deadline for finishing my album. 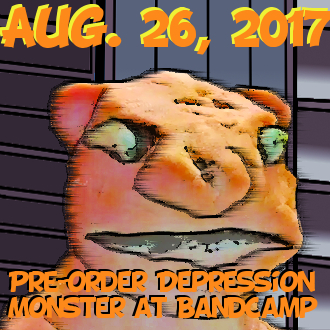 There's already an album release show set for August 26, so I need to have the recording sent to the printer by the end of July. Luckily, I am on track. I finished background vocals a week ago. Bass guitar was finished last Friday. About ten minutes ago, I completed the last guitar track...a wicked double-tracked outro solo which makes me sound like a wizard. I'm taking another blast at the lead vocals, and then, it's just mixing and mastering. I've been tightening the arrangements as I go, so the mix should proceed in a swift fashion. I'm getting excited. I can't wait for y'all to hear it. It's been a long time coming. "There will be nothing you can do to avert the disaster of next week, although there will be plenty that a reasonably bright and competent person could do." Today, my child is at her summer care program (run by her school). She's on a field trip to the zoo, so I have the day to work. You think that summer for a teacher would be a time of vacation, of international travel, of lazing about, but that's not the case for me. Already, I have spent a over a week grading AP exams. I've played an area festival. And I'm close to finishing my second album. Why do work when one doesn't have to? Well, in the case of the grading, it's that I need the money. Grad school leads to a lot of debt, and I still haven't come close to clawing my way out of it. Next year, I might even have to look into additional grading employment, as I recently found out that I'm ineligible for the government program for forgiving public servants of their student loans. Why? Because I took advantage of another government program to consolidate my loans over a decade ago. This is a blow, because getting my student loans forgiven might've helped free up enough cash to me to make some headway on my credit card debt. That ain't happening now. I discovered my loan forgiveness ineligibility yesterday. In spite of that, however, I'm in a pretty decent mood. While the therapy and antidepressants certainly have a large role in my peaceful state of mind, they are far from the only factors. Having a great family also helps (see my previous posts about my strange child), but managed expectations also play their part...and they are largely a product of science fiction. Perhaps I'm old, but the chances of finding out what really is going on are so absurdly remote the only thing to do is to say, "Hang the sense of it" and keep occupied. This quote (along with its radio, novelization, and cinema versions) resonates with me and also explains my summer shenanigans. Why play music? Why work on an album which, in the grand scheme of things, few people will actually hear? Why in fact try to accomplish anything? Will thinking about things help? Probably not. Instead, focus on what you can do. Me? I can raise my kid. I can write songs. I can keep moving. Who cares? Perhaps I'm old, but the chances of finding out what really is going on are so absurdly remote the only thing to do is to say, "Hang the sense of it" and keep occupied.